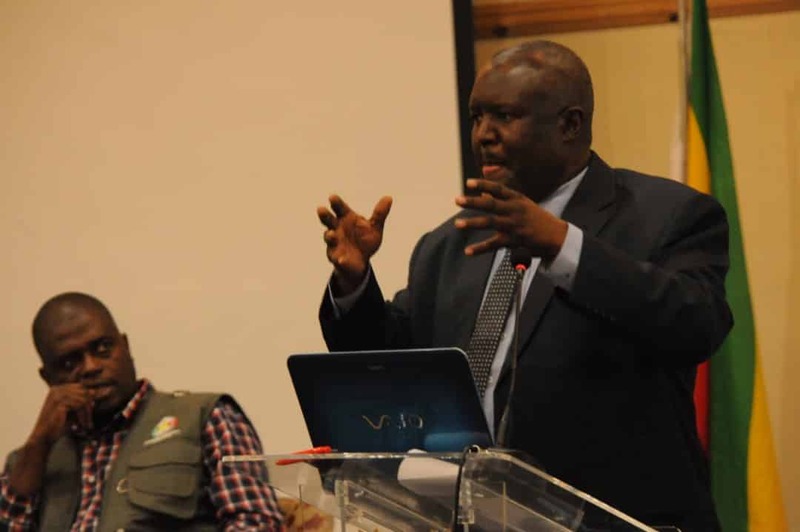 President of the Chiefs Council, Chief Fortune Charumbira has warned political parties and civil society groups against disrespecting traditional leaders. Chief Charumbira who has repeatedly and openly supported the ruling party, ZanuPF, is currently facing a High Court order to retract his statements on his allegiance to ZanuPF. Speaking at the ongoing ZEC Elections Review Conference in Nyanga, Chief Charumbira said it is not an anomaly to see chiefs being involved in politics as it dates back to the colonial era. Chief Charumbira added that the traditional leaders need to be given enough respect and be recognized by all political parties and CSOs especially if they are holding their activities in their areas. “We want recognition after all and that’s enshrined in Section 82 of the Constitution,” he said. He described it as uncultured democracy, when parties come and do rallies in the areas without consulting them. “We will fight any uncultured democracy. We might not have money to fight those that don’t respect us but our spirits will fight you. “If you come into my area and don’t recognise me, I will chase you away. You all come and speak about democracy, elections in our areas but democracy should recognise and respect me. If you don’t respect me then we will have a problem,” he warned. Further asked on whether he mobilizes people for political parties, Chief Charumbira said he only does so for developmental purposes. “We do mobilize. That’s one big role that we play. We mobilize communities for various engagements but they should be lawful not for political parties. “If you come civil, If you come the right way and the agenda is clear and benefits our people, we will mobilize for you. ” If you want to drill boreholes and ask us to mobilize, we will do so for good intentions,” said he stated. Traditional leaders have been largely accused of pursuing political agendas with all but two chiefs declaring their allegiance to ZanuPF. Chief Charumbira said Zimbabwean Chiefs are doing better than their counterparts in South Africa, whom he said go to an extent of running for public political offices.